Monmouth County Detention Center – A 24-hour juvenile detention center, providing secure care and custody for juveniles charged with crimes that require detainment or pending a court decision. Provide secure custody with minimal impact on the lives of those detained, while addressing the needs of the juveniles, including medical, educational, psychological, food, clothing, and shelter. With 40 beds in multiple housing units and a population varying by day, the Monmouth County Detention Center is responsible for protecting both residents and staff. Having the guards walk around and check all doors and detainees, also known as security checks, are one way of ensuring safety, however these not always reliable. In addition, with a secure facility and numerous restricted areas, controlling who had access to which rooms and at what time is critical. 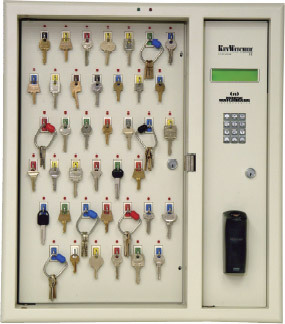 KeyWatcher® – Wall-mounted Key Storage Cabinet eliminates outdated lock boxes, unreliable manual logs, and messy key identification tags. The KeyWatcher intelligent key management system helps prevent lost or stolen keys by only releasing assigned key to users with the proper authorization code and recording the access history of each key, including user, date, and time of checkout/return. PowerCheck® Guard Tour – A hand held, computerized guard tour system that provides an accurate and visible means of recording staff activities. Officers have the ability to enter in a userprogrammable incident code using the built-in keypad and display. PowerCheck has 99 pre-set incident codes that can be downloaded to a computer. Tour-Pro™ Software – A Windows® application that gives users the power to download tour information, program the data recorder, generate custom reports and manage files from a single program. The program converts stored data from officers’ guard tours into useful, detailed, printable reports. Reports may be customized by time, day, week and month. The Monmouth County Detention Center selected Morse Watchman’s KeyWatcher and Guard Tour to assist in their current security system. The KeyWatcher controls access to needed keys, while the Guard Tour provides a visible means of recording data in reference to resident security checks, as well as other secure doors, including medical and administrative rooms and exits. With the use of both the KeyWatcher and PowerCheck Guard Tour systems, Monmouth County Detention Center has been able to provide a secure custody facility with minimal impact on detainees. Security guards are able to access specific keys at given times and officials are alerted to missing or overdue keys. The guard tour system allows management to ensure that security checks are completed and for officers to immediately record incidents while on tour. 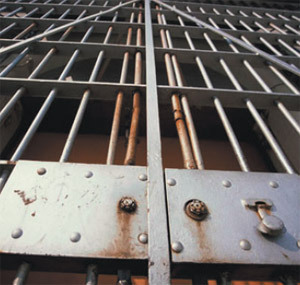 Learn more about key control solutions for corrections.